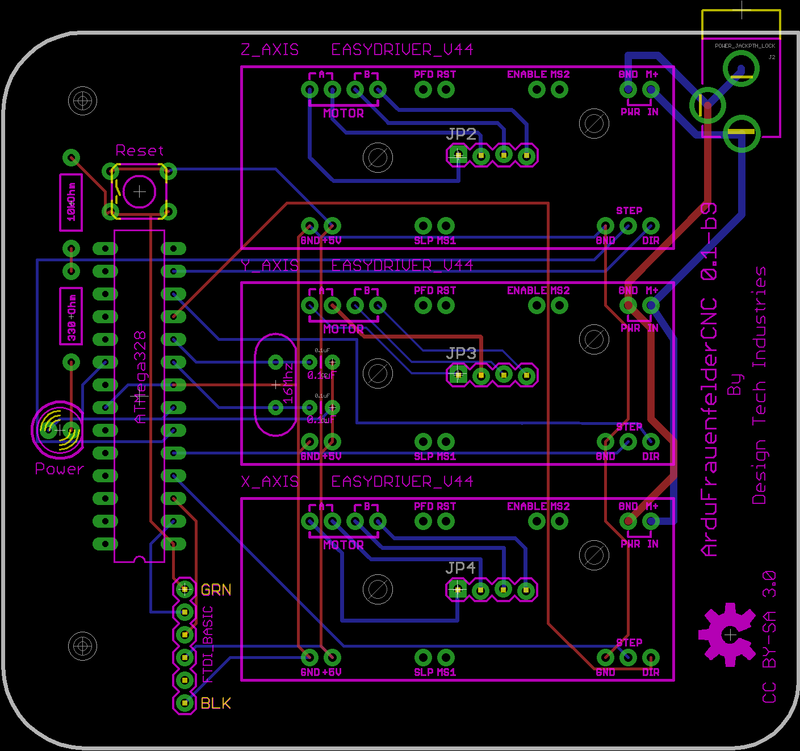 This is the controller board for the ArduFrauenfelderCNC mill. 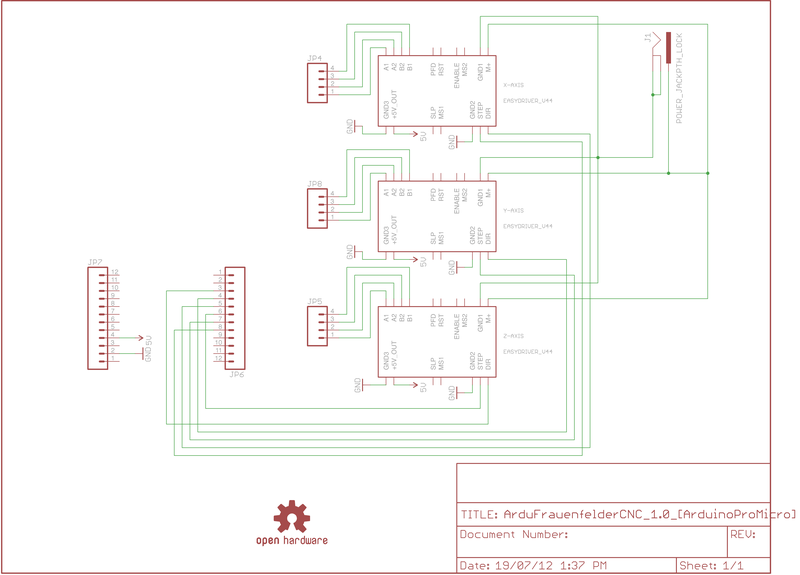 It is based on the Arduino platform and runs GRBL to stream gcode to the stepper drivers. The entire design is open source and all files needed to create it are included in the GitHub repository (linked below). 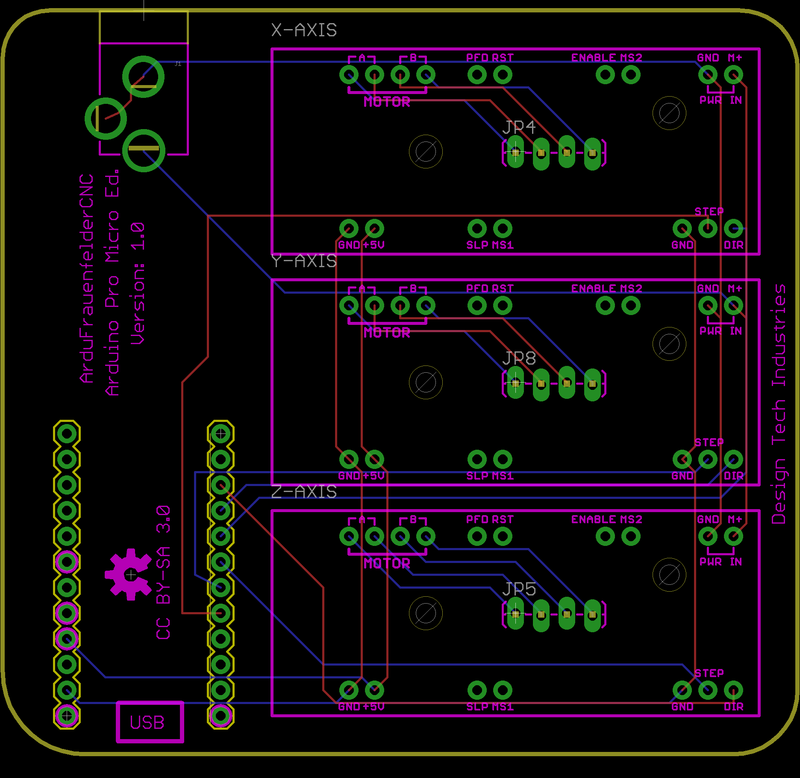 A bill of materials will soon be posted (which isn't going to be all that large) for the board. 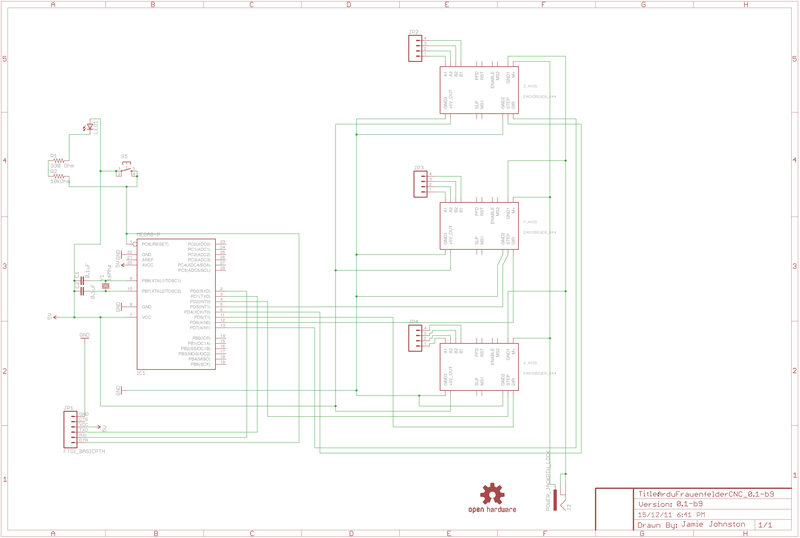 The physical mill design files can also be found in the GitHub repository but they aren't complete as of yet, nor have they actually been cut before. The mill is designed to be nearly completely manufactured via fab houses (Ponoko and BatchPCB/DorkbotPDX) meaning you can grab the design files (.svg for MDF laser cutting, .dae for 3D printed parts, and gerber files for PCB creation), BoM, construction manual, and build a CNC mill at home.